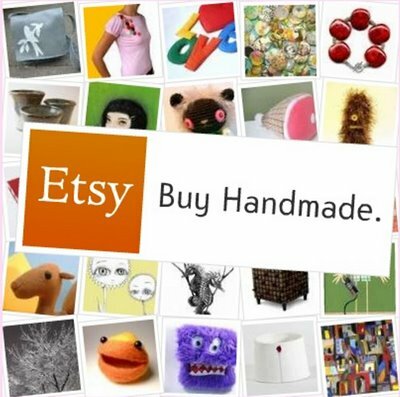 Link UP Your Etsy or other Crafty Sites! I have an Etsy shop for my silver jewelry but currently I have been too busy to make anything new, but that doesn’t stop me from cruising all the awesome shops that they have, I love to buy homemade items or from companies that are run by Moms or just crafters who do it as a hobby. I have so many talented and awesome readers, I would love to see your creative blogs or Etsy shops! If you have something that you make or sell or create, link it up here for us all to check out! Don’t be afraid to show off something that you have recently made either, even if you don’t sell them! Have you redone a room, or planted your garden? We want to see it! 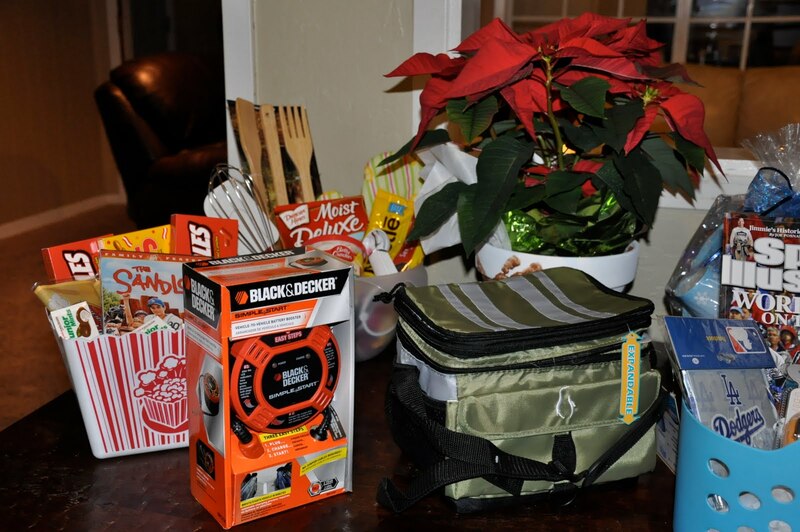 I was asked last week by Sherry Williams of KHOU Channel 11 to put together 11 gifts for $11 and under… the catch? I could NOT use sales or coupons! That goes against everything I have in my body! 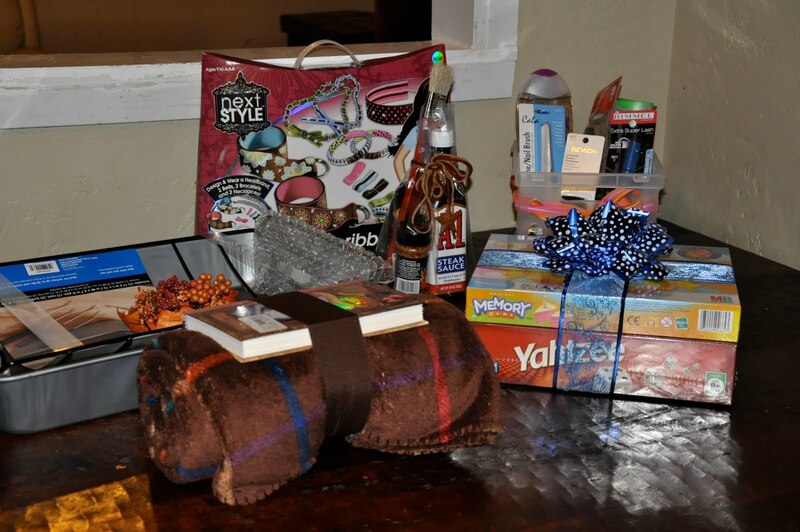 But, I sucked it up and came up with what I think are some great gifts. Tween Girl Gift: $10 at Walmart a craft set for making bracelets and headbands. Simple Start: Mini car starter, clearanced at Walmart for $10 (was $22) they had a TON! This is a gift I did for a teen boy. What do you buy them under $100? The Grandparent flower pot was the cheapest and I think turned out the cutest! I took a $1 terra cotta pot from the $$ store. 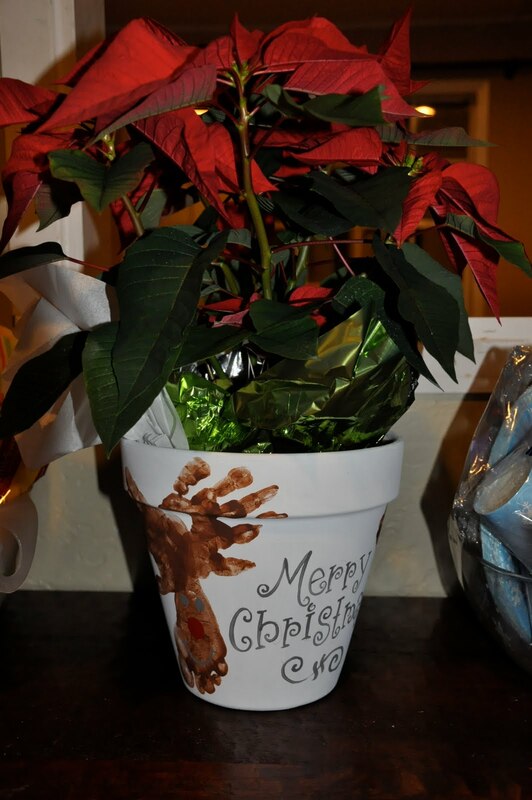 Painted it white, took my 3 year olds foot and painted it brown, turned it upside down and stamped it on the pot. Then I took her hands and painted them brown to make the antlers of the reindeer and stamped those on. Gave him some eyes and a red nose, wrote Merry Christmas on it, got a $3.50 poinsettia from Walmart and you have a cute gift! 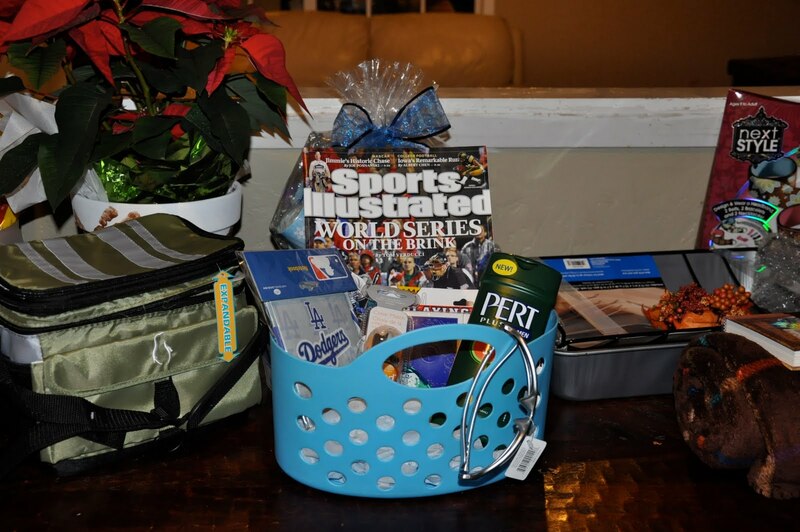 The Family Movie basket is another favorite. It is so easy to do. I got the cute popcorn basket from the $.99 store. But, you can get a clean one from the movie theatre as well. 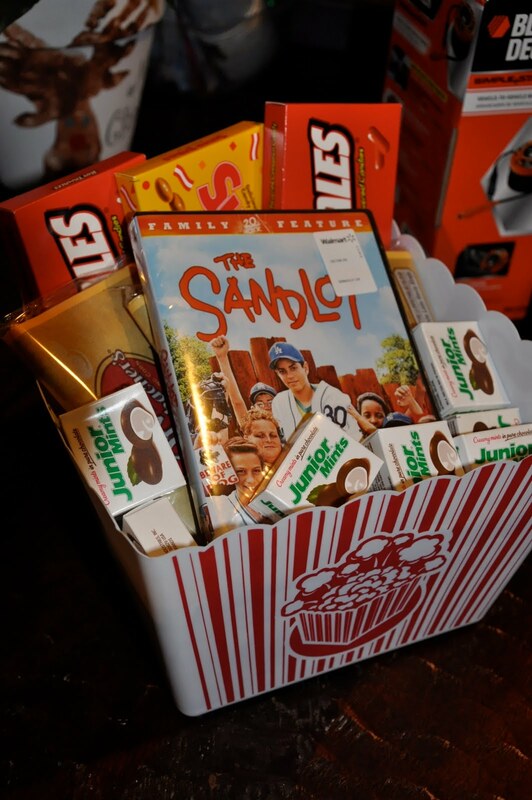 Filled it with movie candy, microwave popcorn and a good family movie, so easy and cheap. My kids love getting things like this, they make sure we use it. The Baking Basket was my girls favorite. 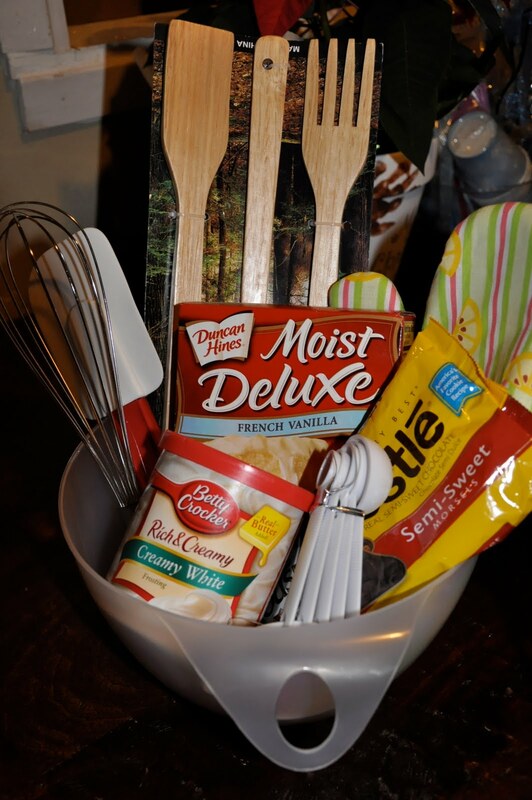 From the Dollar Tree I got the mixing bowl, and utensils. At Randall’s I grabbed any cookie or cake mixes that sounded yummy and threw in a pot holder and you have a very nice gift for what I thought was an adult. I have changed my mind however, and I think I am going to be giving these to all the little girl birthday parties my kids get invited to! The experience with Sherry Williams and her photographer was awesome, she was so professional and accommodating with all my kids everywhere. They didn’t phase her at all! If you want to see the program segment that Sherry put together it will be on this Friday (November 20th) on Houston KHOU channel 11 between 5am-7am, then again at 5pm and again on Saturday morning from 7am-9am. Tune in to CBS tomorrow, It’s my T.V. debut! Set your DVR’s tomorrow morning, Monday, at 7:40am Eastern time, I will be on the CBS Early Show talking to KellyWallace about couponing and Savings.com. Say a prayer that I didn’t say anything stupid! The other day some WONDERFUL friends and I were interviewed for a news article in our area. If you want to read the interview it is online HERE. Thanks girls for coming over! I don’t blog often. I just barely started this. In fact, I think the only people who read this blog are my family (thanks Mom!) and Kelly (thanks Kelly!). Imagine my surprise this morning when I received an email from the editor in chief (hi Mr. Nick!) of Scholastic. I didn’t even know what to do-I thought it was spam (sorry Mr. Nick). So in case you don’t understand what an honor this is, I was nominated for the Mommy Blogger award with about 500 other contestants. The editors picked their favorite ten blogs and are letting the readers vote for the favorite five to be published in Scholastic Parents magazine. I am so flattered and thankful for the nomination and that people are interested in the fun our family has! I had started this blog to be a journal for my kids so they can remember the cute things they do. I can’t wait to share more stories, come back and visit!!! And if you don’t vote I’ll send Rush over to your house to pull all the books off the shelves!! !